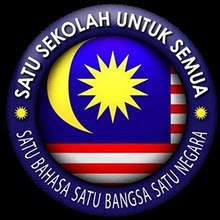 I am a Muslim living in Johor Bahru, Peninsular Malaysia and I am opposed to the RUU355 for it will divide the Blessed Malaysia that I know and God knows we are already divided enough by race and religion. For PAS Hadi who think that sins can be wiped out by severe deterrent sentences on earth, I tell you Islam is a compassionate religion, educating Muslims to be kind and knowledgeable people is the way to a better life on earth and the hereafter. From the long-term and macroscopic perspectives, the strategy to exclude the two states has unreservedly exposed the shortsightedness of our policymakers. The government’s takeover of the bill to amend the Syariah Courts (Criminal Jurisdiction) Act 1965 (Act 355) is being watched closely by the whole nation. Now, it has been revealed that to manage the frustration among East Malaysians and the non-Muslim community in the country, the government’s version of the bill will only be applicable to Muslims in the peninsula. The bill to amend Act 355 was originally tabled by PAS president Abdul Hadi Awang, who is also Marang MP, but was later taken over by the government. Hadi’s private member’s bill in Parliament last year was meant to pave the way for the eventual implementation of hudud in the future, posing a severe threat to our vulnerable secular system. As such, it was strongly opposed by non-Muslims in the country as well as the people of Sabah and Sarawak. We need to illustrate the point that not all Muslims in this country are agreeable to Hadi Awang’s motion although most of the dissident voices have come from non-Muslims and East Malaysians. The adoption of the bill to amend Act 355 in the Dewan Rakyat will require more than just the support of Umno and PAS lawmakers. As such, MPs from Sabah and Sarawak will play a very pivotal role in the success or failure of this bill. Excluding Sabah and Sarawak from the bill would somewhat allay their fears and remove any excuse to oppose the bill. Therefore, it is perceived as one of the strategies to win the support of these MPs from the two Borneo states. 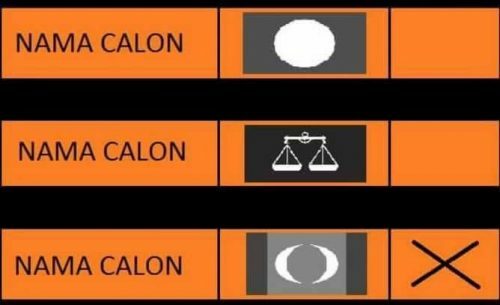 The problem now is that such a divisive measure could further alienate the East Malaysians and polarise the people. It cannot be denied that the exclusionary policy is one of the most effective strategies to remove the obstacles to the passing of the bill to amend Act 355. But from the long-term and macroscopic perspectives, the move has unreservedly exposed the shortsightedness as well as recklessness on the part of our policymakers. Once the bill is adopted by Parliament, Muslims in Malaysia will be divided into two different groups – those in Peninsular Malaysia will be subjected to the amended Act while those in East Malaysia will not be affected. This is obviously illogical and contrary to the principle of fairness. The rift between people on both sides of the South China Sea will be further accentuated as a result of “one county, two systems”. The argument behind the amendment to Act 355 lies with its religionisation advocacy and the detrimental effect on our existing secular system. It is imperative that East Malaysian MPs scrutinise the bill at the national level instead of looking only at its implications on the people in Sabah and Sarawak. They must realise that once the floodgates are opened, anything could happen. The amendment to Act 355 will have a tremendous impact on the future of this country. The attitude of East Malaysian MPs – whether they just sit on the fence and watch or register their strong and unbending opposition for the sake of this country – will be instrumental in the development of this whole thing. I hope the Johor Bahru Memeber of Parliament and other Muslim MPs understand what his/their constituents wants. What will happen next to Forest City?